There are few things that capture childlike wonder quite like Disney. The brand has countless theme parks, movies, and characters that inspire children and adults alike to dream and remain hopeful in the face of adversity. There are few other brands that have managed to continuously capture our imagination with heartwarming stories and lovable characters. The animators and storytellers at Disney have truly captured something truly unique. 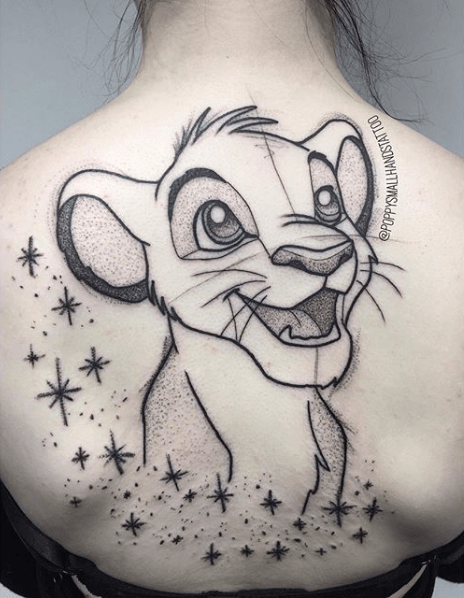 With a company that has so much cultural influence, it’s not surprising that there is a surplus of Disney-inspired designs. 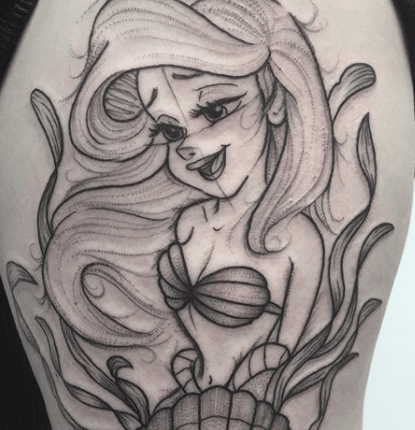 From concept art to full color – Disney ink is everywhere. 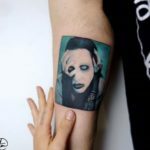 However, there is one tattoo artist that stands out from the crowd when it comes to these magical tattoos. 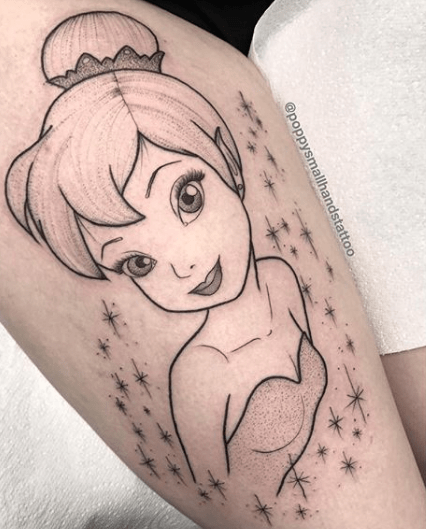 A Norfolk-based artist known as Poppy has created a beautiful array of Disney tattoos that rely on detailed line work. Below, you’ll find just a few of her magical and enchanting designs. A portrait of a young, bright-eyed Simba who’s dreaming of the day he’ll finally be King. 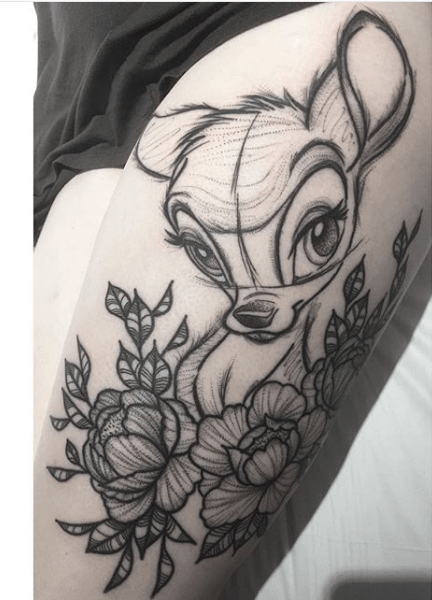 A large-scale piece of Bambi that looks like it came straight out of Walt’s sketchbook. 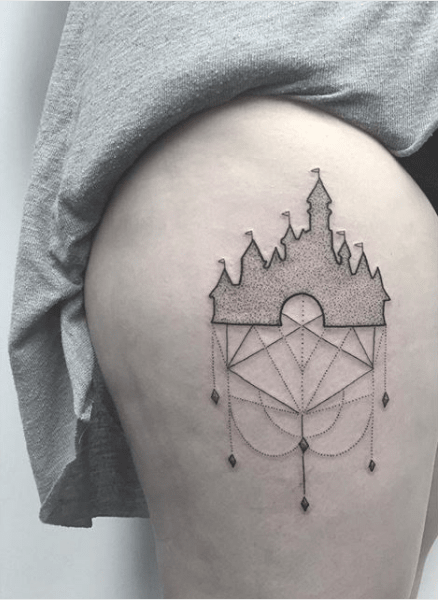 This simple silhouette will be a permanent reminder of the happiest place on earth. Who else can say that they saved all of China? 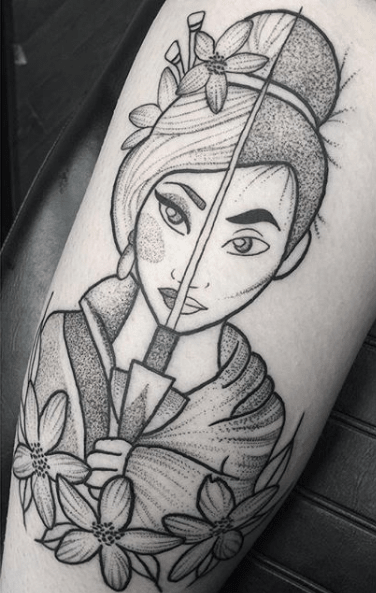 This touching design shows that Mulan is both a daughter and a warrior. 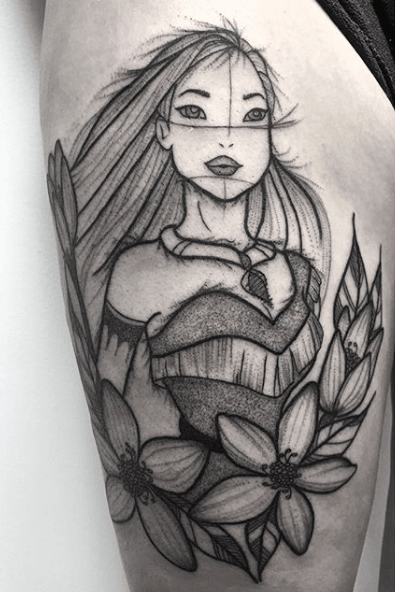 Pocahontas, arguably one of the strongest Disney Princesses, looks formidably into the distance. 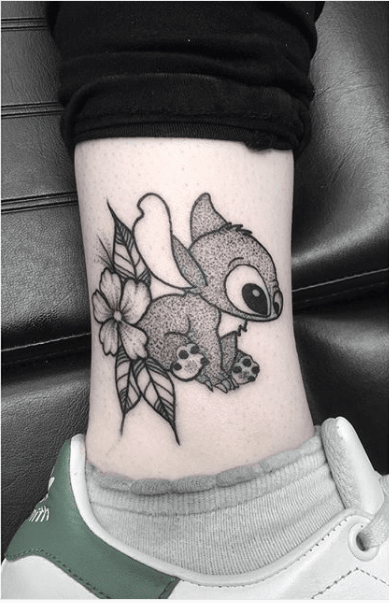 A cute and cuddly profile of Stitch, complete with a lovely flower design. 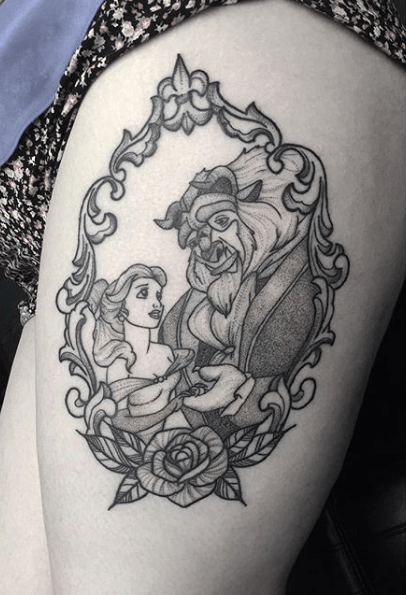 If you’re into more intricate designs, check out this beautifully framed illustration of Beauty and the Beast. 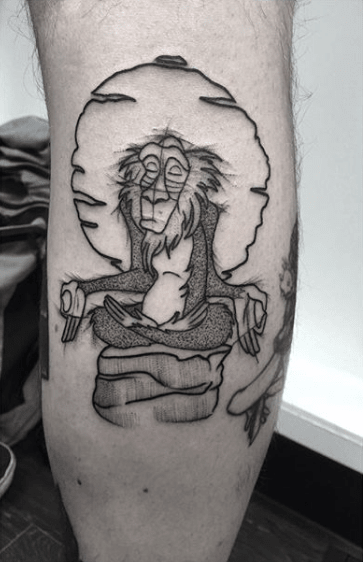 The infinitely wise Rafiki meditates in front of a setting sun. 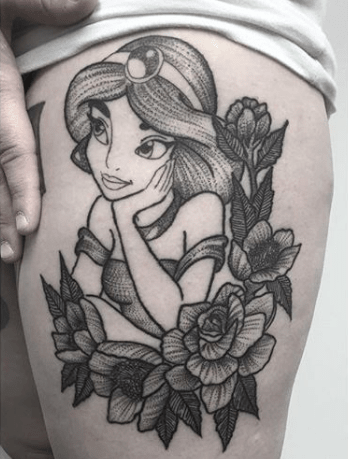 This dreamy illustration of Princess Jasmine opens a whole new world of tattooing. Last but not least, this detailed illustration of Tinkerbell surrounded by her iconic fairy dust.